Australia’s Snowy Mountains tower over New South Wales, peaking at 2,228m on the summit of Mt Kosciuszko. Below these peaks is a picturesque river valley, where the lovely village of Thredbo nestles. This is Australia’s number one Alpine ski and summer resort, famed all over the world for its endless beauty. Thredbo is one of the most popular and luxurious alpine destinations in the southern hemisphere. It is a veritable winter and summer paradise, with a huge range of outdoor activities for the whole family. Romantic getaways, skiing holidays, and endless summer adventures are all par for the course at Thredbo. 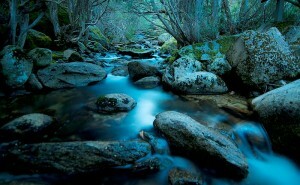 Thredbo is located in Snowy River Shire, New South Wales, along the Thredbo River at the foot of Ramshead Range. 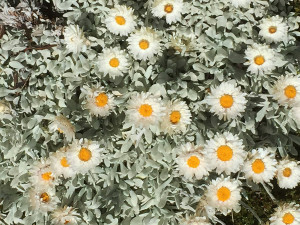 It lies 500 kilometers south of Sydney, and can be reached via the Alpine Way through Cooma. Thredbo forms the main winter resort in the Snowy Mountains, alongside Jindabyne, Perisher Blue, and others. It lies beneath Mt Kosciuszko, at an altitude of 2037m, and consists of 14 ski lifts and more than 50 ski runs. The 5km Supertrail at Thredbo remains Australia’s longest run. 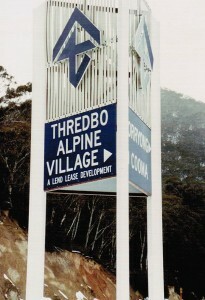 Thredbo traces its humble beginnings to a syndicate of visionaries, who acquired a lease on the area in the early 60’s. 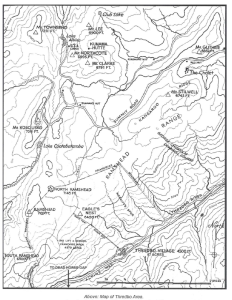 After building a road from the Alpine Way to the present location, a ski lift and 100-bed hotel soon followed. Thredbo slowly transformed from a grazing location into a skiing resort, taking advantage of the great vertical terrain and snow capped peaks. Thredbo has seen millions of dollars spent on better infrastructure and entertainment facilities since then. Purpose built skiing terrains, better lifting systems, and outdoor facilities have been added. Private investments in accommodation, pubs, restaurants, retail, and shopping have boosted the facilities at Thredbo. Aside from the winter skiing, Thredbo now boasts of an impressive summer events calendar. This draws over 300,000 visitors every summer, and features fantastic festivals, sports, and outdoor adventures around Mt Kosciuszko National Park. Furthermore, new developments and products are constantly availed each season. This keeps the village enthralling to even its most frequent visitors. Thredbo is now the 21st century home of luxury winter holidays and adrenalin packed summer adventures. Almost a million visitors now come to Thredbo each year. The winter opening weekend is a huge event that kicks off the skiing season. The entire village and beyond is a beehive of activity for families and individuals alike. New terrain parks and courses are available, to offer ever greater variety of skiing and snowboarding experiences. Thredbo provides every type of challenge for the experienced skier. Expert skiers and snowboarders will delight in the most vertical terrain in the country. Natural powder bowls, hits, and wind lips will enthrall demanding skiers on the Supertrail, The Bluff, High Noon, and at Karels. Beginners have plenty of terrains to hone their skills. The Easy-Does-It Chairlift and Snow Runners will get you to Friday Flat, where the 12 degree slope is perfect for learners. Lessons and packages for first timers are available, designed to boost your confidence and perfect your turns. You can then step it up a notch on the long tree-lined trails at the Cruiser area. Ballroom, Playground, and Walkabout runs are ideal for intermediates. The fast quad lifts will enable you to chalk up as many runs as you can every day. Thredbo has much more to offer in winter than skiing and snowboarding. You can take mountain tours, and enjoy the snow-capped peaks of the Snowy Mountains. The Snow Play area is a great location to play in the snow with the whole family and friends. You can also enjoy beautiful fireworks displays every Saturday at the Fireworks and Flares Run, or explore the slopes on foot. Soak your tired bones at the spa, and then sit by the fire as you reminisce over a glass of the finest Australian vintage. Discover summer in this lovely village has grown to be Australia’s favourite mountain playground. The snow peels away from the mountainous peaks, and gives way to the amazing flora and fauna of Mt Kosciuszko National Park. Hike though breathtaking mountain trails, or camp in the wild under the stars. Thredbo has everything from mountain climbing, abseiling, fly-fishing, mountain biking, and horse riding to enjoy. Many sports are also available, including tennis at the two floodlit tennis courts. Take a swing at Australia’s highest golf course, a spectacular 9-hole that follows the river at the foot of the mountains. Festivals abound at Thredbo in the summer. Jazz, Blues, and Country music extravaganzas are the pick of the season. Enjoy the carnival, art workshops, kids festivities, and guided walks around the mountains. Take the 15-minute scenic ride on the Mt Kosciuszko Express Chairlift, and be amazed by scenic views of the village and surrounding peaks. Thredbo center village is a haven of closely located hotels, lodges, shops, restaurants, and pubs. You can easily walk everywhere and access any venue with ease. Thredbo nightlife is renowned for its variety of cozy and themed bars, which will keep you dancing to the wee hours of the night. Enjoy sumptuous meals after a working up an appetite outdoors. There are numerous cafes and restaurants serving delectable cuisines ranging from fresh Australian tender meats and seafood, to French, Italian, and German cuisines. Grab a Turkish kebab, or pick your supplies from the Bistro and head for a BBQ at a picnic site. Thredbo also offers a wide range of retail shopping outlets for all your holiday shopping needs. Gloves, goggles and every type of sporting gear are available at local stores. Head to the spa for a massage after a shopping spree, or get your hair done at the salon. You can then go out for dinner at the award winning Terrace hotel, with breathtaking views of Mt Kozzi. Discover Thredbo has a huge variety of accommodation for every type of visitor. Luxury chalets are ideal for family getaways, although you can choose from numerous lodges, guesthouses, apartments, and hotels. You may elect to stay right in Center Village, close to all the action and nightlife. Alternatively, opt for a secluded lodge for a romantic getaway with your loved one. Finish off your fishing expedition with a dinner by the river, before camping out under the full moon. Any discerning visitor will find more than they bargained for in Thredbo. This lovely alpine resort is the ideal destination for honeymoons, weddings, romantic holidays, family get-togethers, and endless partying with your friends.